We know that for an ad to work, it must be insight-driven, memorable, and meaningful, in addition to being on-strategy and on-message. This is no different for advertising to Asian Americans. What doesn’t work? Cheap stereotypes. Translation without thought. Mixing in an Asian face among the General Market talent to look inclusive. These shallow attempts at adding an Asian “touch” to creative work will no doubt create a negative experience for the Asian American consumer. Although Asian representation in an ad should appear effortless, we want our target to know a deliberate effort was made, not something that appears to be added for the sake of checking off a diversity box. So, what is the key to creative that works for the Asian American audience? Asian American creative that works is nuanced. This is not to say that it is so specific to Asian Americans that it doesn’t have universal appeal, but there is a unique nugget that speaks to the Asian American more so than others. These nuances are not just significant data findings. While it can be, more often, it’s deeper than that. It’s more psychographic than demographic. These nuances are unearthed through a deep understanding of the audience, first-hand knowledge and experiences, and conversations with people in the community. When it’s something that’s personal and tugs at the heartstrings, then you know you’ve found it. For example, when tasked with introducing Nationwide Insurance to the Asian Indian market, it was a no-brainer that we’d promote Nationwide’s education products. Education is the utmost priority in an Asian Indian household. Staying connected to their native country’s culture is another. How can we leverage these obvious cultural insights into compelling messaging? The answer was in a not-so-obvious cultural fact — Asian Indian parents worry about their kids growing up too fast in liberal America. Utilizing this nuance created a close, meaningful connection to Nationwide. 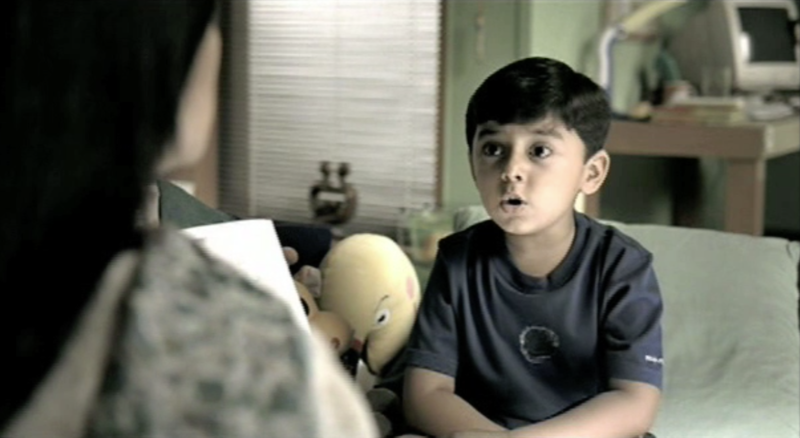 It demonstrated that Nationwide really understood this market. And, by adding more specificity–hip-hop culture is extremely popular among young South Asians– the result was a memorable piece of creative. Once you have your nuance, here are some general guidelines to follow to give you the best, creative product. Involve your Asian American agency partner in the creative process as early as possible. The more they understand the thinking behind the development of your campaign, the better equipped they will be to create work that is true to the original concept. Connect the people behind the creative idea with the experts on this audience. Findings from Research, such as concept testing, should be shared, especially if Asian Americans were included in the study. When selecting talent, look at them through your target audience’s eye. Are they attractive? Aspirational? Relatable? Asian American audiences may have very different ideas about these qualities than the general market audience. For voice talent, ask about diction and accents, which can give away a person’s country of origin or social class, to make sure they are in line with what you need. There will be instances where you may need to go beyond the talent pool available here in the U.S. Take advantage of your agency’s experience and relationships to tap into Asian talents across the northern border in Canada, or even in Asian countries. The reality is that, often, budget allocated to the Asian American market makes it challenging to procure the best production resources. This can sometimes be addressed by looking to film directors, photographers, and production companies in Asia. Be ready to tap into your Asian American agency partner’s network and contacts. One last note about ads that can be potentially off-the-mark. It’s best to test your creative for any red flags. Disaster-Check Early: As early as the storyboard stage, consider whether your creative could potentially be offensive. If so, it may be wise to alter, or go in a completely new direction. ​Copy-Test: There is a lot you can learn from exposing an ad to members of Asian American cultures. In a room with free-flowing M&Ms and a good moderator, you will be able to find out exactly what needs to be tweaked, or completely changed if it crosses the line. Don’t Go for the Publicity: There have always been rumors about campaigns that are launched knowing they are going to be banned or protested, but are released anyway for the publicity. That might work in the general market, but it is devastating in the multicultural markets. Very rarely will you get those consumers back. “It takes one to know one.” This phrase is often used as an insult on the playground, but it really is the case when it comes to creating advertising that works for Asian Americans. The insights and experience of an Asian American agency are invaluable in developing Asian American creative that will garner a client’s desired results.